In Lonesome Road you are contacted by the original Courier Six, a man by the name of Ulysses who refused to deliver the Platinum Chip at the start of Fallout: New Vegas. Ulysses promises the answer as to why he didn’t take the job, but only if you make one last journey into the hurricane-swept canyons of the Divide, a landscape torn apart by earthquakes and violent storms. It's up to you whether you take the job or not. 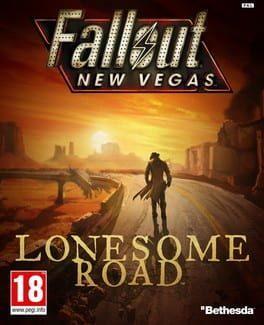 Fallout: New Vegas - Lonesome Road is available from 4.99 to 4.99 from 1 shops.